A top-class jazz or swing band can provide instrumental background music or get any party started with a sensational big-band sound. 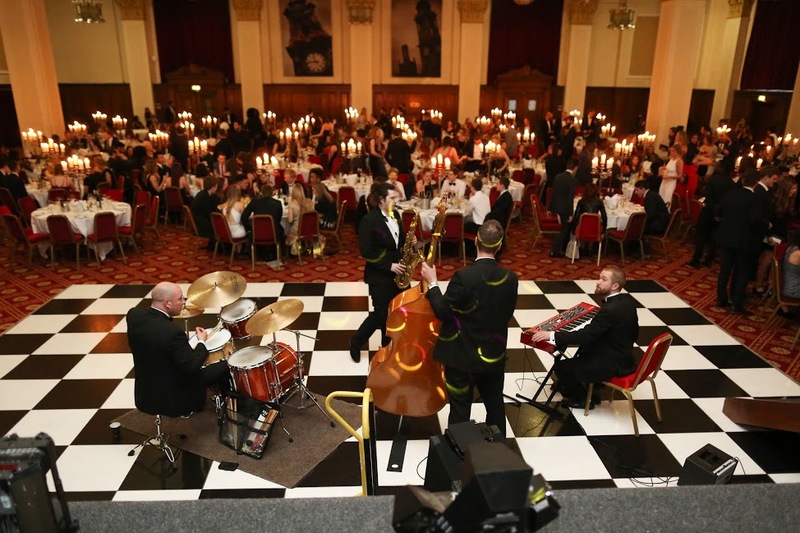 We can help you find professional jazz musicians and swing bands who are available to hire for every kind of function imaginable - all over the UK. From birthday parties to weddings, live jazz or swing music will provide a musical memory for your guests and get them on their feet. From traditional jazz to New Orleans Dixie style, or musicians performing standards from the ‘Great American Songbook’, we will make your event perfect. The average cost of a swing or jazz band can vary greatly, and could fall anywhere between £200 and £5,000 plus - depending on several factors. That is because the line-ups are incredibly flexible, offering performance combinations to suit any venue or event, large or small. Jazz trios and quartets, and larger swing groups are unlike standard rock and pop bands that often have three or four members. For Jazz and swing, it can vary in terms of how many members are required on stage to deliver a certain sound. This can range from a solo jazz performer to a full big band orchestra that usually numbers many more than ten. It also depends how experienced a band is, and the kind of reputation they have built since forming and touring the country. After all, we all enjoy reading reviews and getting recommendations when a friend has seen a band in action. If an act is well travelled, chances are they are in demand. 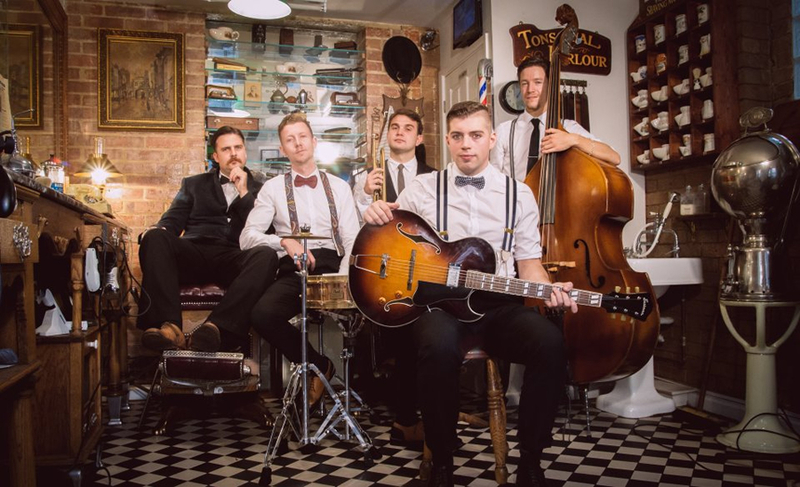 We spend hours watching, understanding and filming the acts that Warble Entertainment offers, so you can hire a jazz or swing outfit full of confidence that they will wow your party or wedding. The quality of a jazz or swing band’s sound and lighting equipment is also a factor. They could be specialists in a certain genre, such as Dixie, or they might have additional crew members as part of their team to give an outstanding audio and visual experience on a vast scale. What do you want a jazz or swing band to do? If your celebration requires mainly background, chill-out jazz sounds, then maybe a simple duo or three-piece band will suffice. Even a solo jazz singer or instrumentalist could do a great job. But if you want something more visual, the big double-bass, piano and plenty of brass then you’ll need a larger group to deliver that bigger band sound and create a real buzz about your venue. 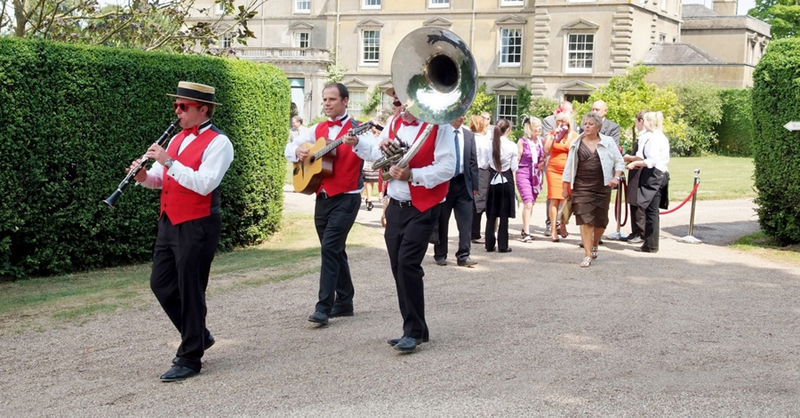 A swing band can bring additional energy, flair and excitement to your party, wedding or gala dinner. Whether that’s Latin, ballroom or jive is up to you. You are guaranteed a rocking show as the artists and instruments fill the stage and dancefloor. What time the acts perform can also affect the price you pay. For example, a more affordable price may be quoted for an afternoon event, such as a wedding drinks reception, as opposed to a longer evening party or corporate event. When choosing a jazz band or swing ensemble it is worth taking these factors into account to get the best quality musicians for your budget. As ever, Warble Entertainment is here to offer you over a decade of experience to guide you through the band booking process. We aim to make booking a jazz or swing band an enjoyable and easy experience.